iWordQ is an easy-to-use writing and reading application to assist struggling writers and readers of all ages, designed by Quillsoft, that uses Acapela Voices. Acapela text-to-speech reads out any words, phrases and sentences. It is used to enhance independent writing and editing by helping the user detect spelling and grammatical errors that may otherwise go unnoticed, thanks to audio feedback. A novel reading mode within iWordQ employs Acapela voices to enhance comprehension and readability of text through a patented text segmentation method (US patent 8,731,905). Invented by Quilsoft, the system allows to display text with speech output that uses a method of text segmentation in which segments of text are presented one after another for reading text sequentially. With the use of a text-to-speech output system, each segment is spoken out with a pause before the next segment is presented. In a non-linear/selective reading scenario, a user can select a text segment, for which the span of the segment can be automatically generated or manually selected by the user. ‘This improves the reader’s comprehension of the phrase before moving onto the next phrase. It also adds a feeling of anticipation for the next phrase to maintain the reader’s attention, which is essential for proofreading and reading learning materials’, says Fraser Shein, President & CEO of Quillsoft. ‘Text-to-speech is a natural answer to support struggling students with audio feedback. It helps them to gain in confidence and in autonomy with immediate feedback of the written content. We are proud to be used in such learning programs and to contribute to the whole progression process’ adds Lars-Erik Larsson, CEO of Acapela Group. 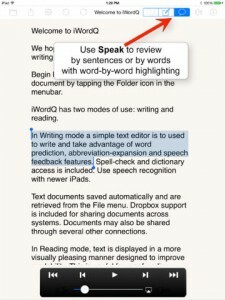 The method of highlighting text either by whole sentence or by individual words and having it spoken aloud with speech synthesis is now commonplace in reading applications for consumer computer systems (including tablet-style) and standalone electronic devices such as eReaders and other reading/learning devices. 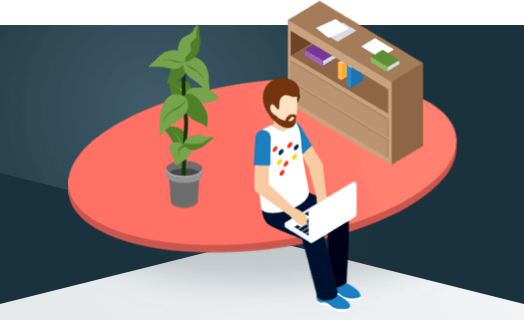 In Writing mode, a simple text editor is used for writing with the support of word prediction, abbreviation-expansion and speech feedback features. Spell-check and dictionary access is included. In Reading mode, text is shown in a more visually pleasing manner to improve readability. This is used for proofreading, reading to learn, silent reading, reading aloud, and casual reading/listening. A novel text chunking method (patent-pending) can be selected to enhance comprehension and readability of text to allow you to focus on one text chunk at a time.